Chevin Fleet Solutions is working on a new workshop management tool that will bring benefits to fleet managers and technicians alike. Due to start trials in the next few months – with a full launch scheduled for early 2019 – the tool will provide a ‘Workshop Hub’ that will enable technicians to manage their jobs from an easy-to-use-touch screen device. The Hub will primarily act as a central location for technicians to complete daily administration tasks such as time sheets, service documents, inspection sheets and workshop audits from the workshop floor. 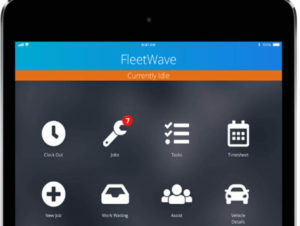 Using FleetWave, managers will be able to allocate job cards to individual technicians and monitor their day-to-day activities. They will also get real-time, actionable data relating to employee utilisation and efficiency. The ‘Hub’ will also help with fleet compliance and risk management regimes thanks to its ability to produce targeted, manufacturer-specific inspection sheets for specified vehicles complete with mandatory fields that prevent any paperwork from being digitally filed before any given job is both complete and compliant. Chevin also predicts cost savings on processing service and inspection sheets.